Working on your core doesn't have to be a bore (or a chore for that matter). Take 15 minutes out of your day to improve your core strength. If you're at home, you can easily do so with simple, straight-forward ab exercise videos. Resources like Fitness Blender, Tone It Up, POPSUGAR Fitness, and XHit Daily make it easy for you to squeeze in a quick workout, regardless of how busy you are. No gym required. If you're doing the PumpUp #ChallengeMe June fitness series, you'll earn points for every 15 minutes of ab exercises that you do today. You won't need any equipment to do these ten exercises. You'll repeat each move twice, for 30 seconds each rep. You're encouraged to perform the moves at your own pace in order to maintain proper form throughout the entire video. Though Fitness Blender expects you to break an intense sweat during their ab exercise videos, this one isn't too challenging. According to their website, you can burn as much as 103 calories by doing this video. Tone It Up's bikini abs routine really is a difficult workout on its own. There are standing warm ups to get your heart pumping before you proceed with challenging moves that play a game of tug-o-war with your stabilizer muscles. Watch out for the single leg reverse crunch when you're doing this routine. Go slowly, emphasizing proper form rather than maximizing your repetitions to get the most out of this workout. Autumn Calabrese sure knows how to make mean workouts. This 'full-body' routine actually incorporates several dynamic standing moves that are great for burning fat around your abs. It'll keep your heart rate up and help you to build strength as well. You'll need a pair of dumbbells for this routine. You'll have a ball with this ab workout. As fun as bouncing on a stability ball may be, you can get a pretty effective ab workout with a few simple moves. The ball makes conventional ab exercises a lot more challenging by destabilizing your body. Just roll with it (but actually, try to minimize rolling while you're performing the moves). Who doesn't love ab exercise videos that don't include crunches? This workout uses more static exercises (like the plank) in order to build your core strength. All of these exercises are done on the floor and you won't need any equipment to get started. Loved these ab exercise videos? Let us know your favorite ways to build core strength in the comments below! Cover photo courtesy of PumpUp member m_dancer18. If you're doing our #ChallengeMe June fitness series, you'll earn points for every 15 minutes of ab exercises that you do today. You'll often hear that one does not simply walk after leg day in a foreboding and ominous tone. Leg day inspires abundant amounts of sarcastic e-cards, fitness memes, and it makes you cry if you're commuting to work by foot the next day. A tried-and-true staple of great a leg workout is the lunge. It is, in its most basic form, a stationary bodyweight exercise that strengthens several muscle groups at once and elevates your heart rate at the same time. Deep lunges primarily work your glutes and your hamstrings, whereas shallower lunges will really target the quadriceps in your thighs. Because lunges exert more pressure on one leg, other muscle groups come into play as your calves, your core, and your back work overtime to stabilize your body. If you're training for a big race, lunges will help you to run harder, better, faster, stronger by challenging your balance, strength, and range of motion. Maintain proper form to get the full benefits from lunges and to minimize exercise-related injuries. Step forward with one leg and create a 90 degree angle with both knees. The front knee should be in line with your front ankle and it shouldn't extend past your feet (think the corner of a square rather than the corner of a rhombus). Push your front leg off the ground and step your feet back together in a standing position, leading the movement with your other leg. Once you've mastered the basic front lunge, back lunge, and side lunge, you're ready to move on to weighted lunges and plyometric lunges. These 5 creative lunge variations will make you enjoy leg day a lot more than you used to. Have fun walking up a flight of stairs the next day! Begin in a standing position. Extend your front foot and bend your knees to form a straight line with your ankles, lowering your body down into a front lunge. Jump vertically, switching your front foot and your back foot so that you come into a lunge on the other side. Land softly as you do so. Next, jump your feet to your sides and lower down into a squat. Perform the complete movement with a jumping lunge for each leg, then squat in between. Back lunges with a raised arm extension, dumbbell sumo squats. Step one foot back and lower your body down into a back lunge, raising your opposite arm overhead as you do so. Carry a light weight in your raised hand for an extra challenge. When you're coming out of the lunge, step your foot to the side of your body and create a wide-legged stance. Lower down into a squat immediately, bringing the weight between your legs. Lunges with water-filled bars. A stability exercise. If you have a water-filled bar handy, this will help you to improve the balance and strength of your front lunge. The dynamic motion of the water adds a greater challenge than a solid metal weight would. Step one foot back and lower your body down into a back lunge. Push your back knee up and off the ground, pressing it to your body before you step it back into a lunge position again. Do this with weights to intensify your workout. Perform this exercise on a smith machine like PumpUp member @tinytinne demonstrates below if you'd like to add more weight. Get creative with these and make sure you don't arch your back. If you're tired of regular weighted lunges, bring the weights overhead to give a bonus burn to your core, shoulders, and traps. No weights? Make sure you have a firm grip of whatever (reasonably dense and heavy) object you have on hand: textbooks, camping bags, or dictionaries! Loved these creative lunge variations? A great general rule of thumb is to do 3 sets of 12 lunges per leg. Earn 30 points for every set of 12 lunges if you're participating in our June #ChallengeMe series! Let us know which creative lunge variations you liked best in the comments below! Yes, it's entirely possible to lie down on the floor and strengthen your core muscles while you're at it. Sadly, this isn't an excuse to marathon five episodes of Orange is the New Black while clenching your abs. That won't work. There's a simple solution: pilates videos. You can do these within the comfort of your home, even if you only have 20 minutes to spare. All you need is a speedy and hearty WiFi connection. Thanks to Cassey Ho (Blogilates), a popular pilates instructor of YouTube fame, you can gradually build your core strength with a few of her Blogilates videos for abs. The thing is, Cassey has been making pilates videos on YouTube for quite awhile: almost eight years. There are a lot of her videos to choose from. We made it easy for you. If you follow Blogilates, or even if you're just becoming acquainted with the world of pilates, we put together a list of the best Blogilates videos for abs, and which moves you should look out for. These videos are perfect if you're starting Day 3 of PumpUp's #ChallengeMe series. This video is no joke. You'll be shaking involuntarily throughout most of the static postures that you'll be asked to hold. Don't worry if you need to take small breaks if it's your first time doing this video, because you'll probably need them. Just hit pause and never doubt the power of Blogilates videos for abs. Your lower abs will be working overtime for most of the thirteen minutes. Lie down on the floor with your back pressed to the mat. Your hands will rest on the nape of your neck to support your head. Your elbows will be set wide and your feet should extend straight out in front of you and off the ground, your head raised slightly. You'll make small flutter kick movements while keeping your legs straight the entire time. This move isn't too challenging, but it's laughably difficult to perform immediately following a full body crunch called Eagle Pose Abs. Beware. This is a perfect way to start your morning without waking your downstairs neighbours up with stampede-like HIIT moves. You'll be maintaining some variation on the classic plank position throughout the entire video. It isn't too long, and you'll feel like you won your country an Olympic Gold Medal for planking once you finally rest your knees on the floor. There aren't any 'breaks' during the workout (but hey, it's only seven minutes). Instead, expect to 'rest in plank' as you switch between more dynamic postures. You'll be in a raised plank position. Make sure your shoulders are in line with your wrists and that your hips aren't too high or too close to the ground (find a happy medium). Lift an arm off the ground and extend it forwards. Plant it back on the ground and reach your other arm straight out in front of you. As you perform more repetitions, this move really challenges your body to stabilize itself in a steady position. This means that your core muscles will be working overtime to maintain proper form. Some of Cassey's oldest Blogilates videos for abs are the most effective. Put succinctly by one YouTube commenter, "It's the equivalent [of] getting punched in the gut repeatedly by an angry Mayweather...and I'm not even mad." It targets all sections of your core: your upper abs, lower abs, transverse abdominals, obliques, and your lower back. The best thing about this video is that Cassey goes slowly, emphasizing correct form with (relatively) fewer reps per move in comparison to her more recent videos. You'll be lying down on the mat with your hands resting on the temples of your head. One leg is extended out straight and forward, the other leg will be straight and raised towards the ceiling, making an "L" shape. You'll hold this movement for a bit, then switch sides. Next, you'll be raising your neck and shoulders off the ground to pulse up into the movement. These really kill your upper abs by isolating your core muscles and incorporating pulsing motions as you focus on each side of your body. If you're still reading this sentence after finishing the workout, congrats. You're a survivor in every sense of the word. Cassey throws all of her most difficult moves from her arsenal of Blogilates videos for abs and ties it into one nasty routine. You'll be focusing on performing many repetitions right off the bat, then you'll move on to challenging static postures that will have all of your muscle groups working to maintain proper form. Almost nearly one third of the workout will have you perform a variation of the same movement. You'll start with your back on the ground, legs raised and knees bent into a ninety degree angle. Pulse your neck, head and shoulders up three times with your hands behind your head and elbows out wide before you lower your upper body down. After doing this several times, you'll raise your legs straight into the air to do the same pulsing motion, then you'll extend the legs straight in front of you and crunch either leg towards your body so that you'll target your obliques. This move is pure torture, but the repetitions are worth it. You'll sincerely feel it so much the next day, that it'll hurt to laugh. Never say that you don't have time to exercise. You definitely have five minutes in your day to fit a quick pilates video into your schedule. The wonderful thing about this workout is that it's much easier to complete the entire video without pausing between moves. She previews all the moves at the beginning of the video so that you can see if it's a good fit for you. Feel free to repeat the entire video if you have time later on in the day. It's a great sequence to perform if you're tired from cardio, but still want a quick fix for your abs. Move to watch out for: Single leg jackknives Begin by lying on the floor with both legs on the ground and your arms raised straight overhead. Lift one leg and your upper body at the same time, keeping the other leg flat on the ground. Crunch the leg in between your arms, then lower down to the floor with control before you raise the other leg up for the 'jackknife'. This move is difficult, but very effective at isolating the muscles on each side of your core. Loved these Blogilates videos for abs? We want to know what your favourite pilates moves or videos are in the comments below! If you're doing Day 3 of PumpUp's #ChallengeMe fitness series, you'll score points for every 15 minutes of pilates that you do. All images courtesy of Blogilates.com. Never let the munchies get the best of you. Gnawing, cookie monster-like cravings are never a good feeling to have, and can lead to overindulging if they aren't addressed. If you're in a bind for time, the quickest and easiest healthy snack 'recipes' are fruits, veggies, and mixed nuts. Prepare cut-up veggies and fruits in advance so that you have a healthy snack ready for you at any time of the day. Better yet, keep 'grab and go' items like bananas, apples, and pears handy (no meal prep required)! Pair your healthy snack with a lean source of protein to keep you fuller for longer. Need inspiration for healthy snack recipes? Check out these ideas from Day 2 of PumpUp's #ChallengeMe challenge. Bake at 350 degrees 10-12 minutes. This is your summer. Own it, don't settle for less, just start. PumpUp and Coach Melissa Lepage (@coachmelissa) put together a series of daily mini fitness challenges for the entire month of June to help you focus on your health goals with laser-like precision. These challenges focus on different aspects of your wellbeing: from nutrition, to exercise, to sleep, to hydration. Every time you complete a challenge, you'll earn points that might earn you some PumpUp swag. Take the June 1 challenge for example: every time you finish 50 squats that day, you'll earn 50 points. Tally up your points each Saturday in June and share about them on PumpUp to be considered for some swag! You in? Sign up for the #ChallengeMe email newsletter for daily reminders and tips! Let's get down to business to defeat the buns...with squats. For every set of 50 bodyweight squats on June 1st, earn 50 points towards #ChallengeMe. Experiment with different types of squats if you can. Here are some awesome bodyweight squats that you can try for the challenge. Never let the munchies get the best of you. Snack smart by planning ahead! Do away with packaged snacks and instead opt for fruits, veggies, and nuts as your go-to ingredients to tide you over before the next meal. For every healthy snack idea that you share on June 2, earn 20 points. Here are some great ideas for healthy snacks. If your workout was easy, it probably wasn't pilates. It's a system of strengthening and stretching exercises that engages your core, mobilizes your spine, and builds strength and flexibility. If you're already following a Blogilates challenge this June, you're off to a good start. You'll earn 25 points for every 15 minutes of pilates that you do on June 3. Here's a great resource that lists the best Blogilates videos for abs (20 minutes or less). It should be a natural instinct to drink enough water on a daily basis, but that isn't necessarily the case. Whether you guzzle water by the gallon or sip it slowly and surely, be aware of your water intake on June 4 and post about it on PumpUp to earn a total of 25 points for the day. Here are 5 great reasons to drink water. Lunge now, lunch later. Start off your day with a set (or two, or three) of lunges! Perform them with weights for an extra challenge. Bring the weights overhead to give a bonus burn to your core, shoulders, and traps. For every set of 12 lunges per leg, you'll earn 30 pts. Bored of basic lunges? Here are some creative lunge variations that you can try! Work hard and share a Sweaty Selfie on PumpUp after you finish doing an activity that you love. It should also be something that gets you real sweaty, real quick. You'll get 40 points for each sweaty selfie that you post on June 6 (from separate workouts), plus 20 points if you tally up the total number of points that you accumulated over the course of the first week. This time, you won't be walking the plank. Your body will serve as a plank to earn you points. For every 1 min of plank that you perform on June 7, you'll earn 45 pts towards #ChallengeMe. Be sure to post your plank time on PumpUp to be considered. Creative plank variations are all welcome! Get abs-olutely incredible abs today! It'll be the main focus of today's #ChallengeMe workout. For every 15 minutes of abs that you do today, you'll earn 50 points towards #ChallengeMe. Here are some Blogilates videos for abs to get you started, as well as an intense standing ab workout to help you take it to the next level. Start your day the right way. Breakfast is a pretty egg-cellent idea. Share the recipe and photo of a healthy, non-packaged breakfast on June 9 to earn 20 points. Short on ideas? Try this Apple Chai Quinoa Porridge. Short on time? Try this 10 minute Tofu Scramble! If you feel like slurping a portion of your healthy breakfast instead, check out our smoothie library (you might be surprised with what you find!). HIIT us with your best shot and give your workout your all. For every 15 minutes of HIIT that you do on June 10, you'll earn 25 #ChallengeMe points. Get started with this 20 minute full-body HIIT workout or try your hand at these 7 fat-burning HIIT moves. Thursday June 11 - Green Tea - Spend some quali-tea time with yourself and sip on a cup of green tea today to earn 25 #ChallengeMe points, because you're tea-riffic. Green tea may selectively increase fat burning and apparently helps regulate glucose levels, slowing the rise of blood sugar after eating. Here's a #tbt to some migh-tea matcha green tea recipes. Friday June 12 - Crunches and V-Sits. You only need a few body weight moves to strengthen your core. Earn 30 #ChallengeMe points for every set of 25 crunches and 1 minute of V-sits. Saturday June 13 - Best Advice. What's your best advice for living a healthy lifestyle? You are only confined by the walls you make for yourself. Challenge yourself daily and find joy in being healthy. Here are some of the best pieces of advice from other PumpUp members. You'll earn 45 points for sharing a PumpUp post with words of encouragement, and you'll earn 20 points after you share your total #ChallengeMe score for the week! Sunday June 14 - Weights. What's your best advice for living a healthy lifestyle? You are only confined by the walls you make for yourself. Challenge yourself daily and find joy in being healthy. Here are some of the best pieces of advice from other PumpUp members. You'll earn 45 points for sharing a PumpUp post with words of encouragement, and you'll earn 20 points after you share your total #ChallengeMe score for the week! Monday, June 15 - Upper body. Remove "can't" from your vocabulary. Improve your posture and grow stronger every day. For every 15 mins of upper body exercises that you do today, you'll earn 50 #ChallengeMe points. Here's a great upper body workout that you can do with a partner! Tuesday, June 16- Healthy Lunch- You're probably eating your lunch on the go. Plan ahead and you'll make a plan to succeed. Pack a healthy lunch today to earn 20 #ChallengeMe points. What are your best tips for packing and planning out healthy meals? If you need some ideas, here are some light and lovely lunch ideas to help you through the week. Make this un-'beat'able beet salad if you're in a rush, or try these edamame recipes if you're looking to try something new! Wednesday, June 17- Cardio - Yes, we're putting you down for cardio. Do just 15 minutes to get your heart pumping! Simple body weight exercises can do the trick if you don't have a gym or if running and swimming isn't your thing. Thursday, June 18- Lemon Water- When life gives you lemons, drink lemon water. It can improve your digestive health and jump start your metabolism! Each glass can earn you 25 #ChallengeMe points today. Learn how lemon water can benefit you, and find our best lemon water recipe here. Friday, June 19- Jumping rope- We're jumpin' jumpin'. Grab a jumping rope and skip intensely for at least 5 minutes to earn 30 #ChallengeMe points. Whether you treat it as a mild warmup or a workout in itself, jump rope will help you burn tons of calories, fast. If you don't have a jumping rope, just mimic the same skipping motion with your arms and legs. Sunday, June 21- Biceps and triceps: Wanna show off on #FlexFriday in a major way? Do so by working on your biceps and triceps today. Every 15 minutes of bicep/tricep exercises will earn you 45 #ChallengeMe points! Monday, June 22- Lower body: There's a reason why so many songs are being sung about our lower bodies. It's where most of our strength comes from. Lower body exercises will enhance your performance in sports and various other compound movements. 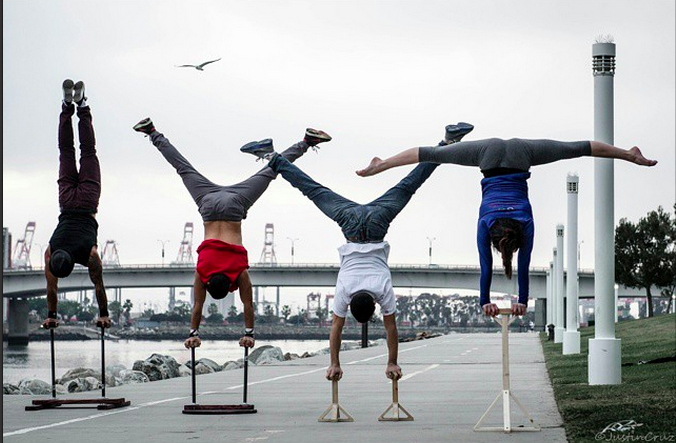 What's more, you'll improve your balance, stamina, and risk of injury. Squats are just the starting point. Here's a simple lower body workout that you need to do today. Every 15 minutes of lower body exercise will earn you 50 points towards #ChallengeMe. Tuesday, June 23- Healthy Dinner: End your day the right way and make smart choices for dinner (after all, you won't be eating for another 8 hours...or more). 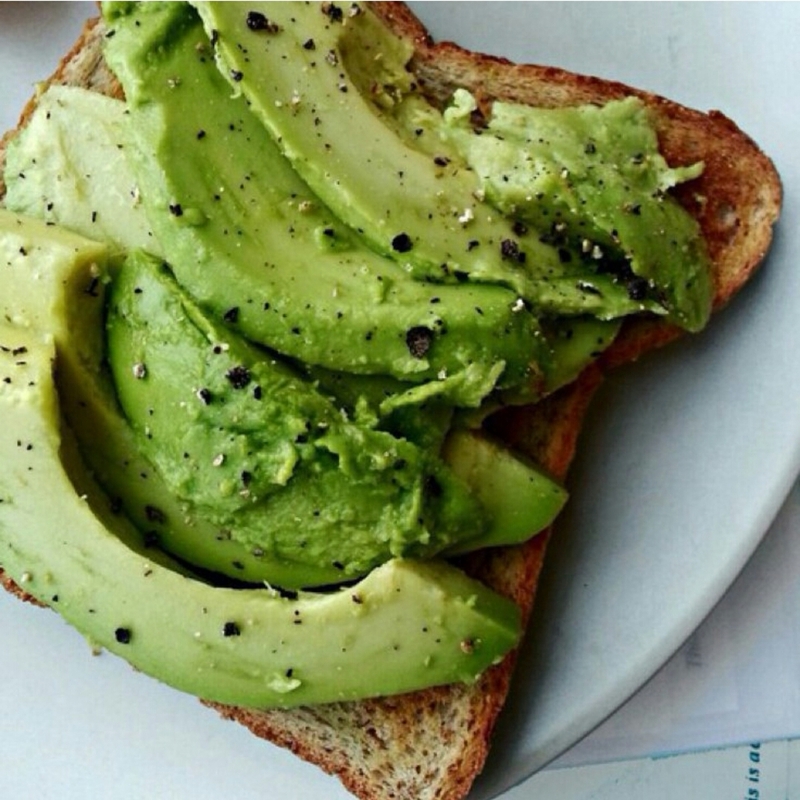 An important part of having a healthy dinner comes with balancing out your day with a healthy breakfast and lunch. Timing is key: don't eat too late, or you might overeat at night. Chew slowly and avoid fatty foods, as they're harder to digest and might disrupt your sleeping patterns. You'll earn 20 #ChallengeMe points for sharing a photo about your healthy dinner! These almond recipes might spark some inspiration. Wednesday, June 24- Outdoor Workout: The sun is shining, the birds are chirping, and the great outdoors are calling your name. Start walking (or running) on sunshine: you might have a more effective workout when you're outside. Your body will work harder to adapt to changes in terrain, and you'll enhance your mood and self esteem. For every 15 minutes that you spend exercising outdoors, you'll earn 25 #ChallengeMe points. Thursday, June 25- Smoothies- If you've been on PumpUp for awhile, you'll probably notice one thing. Above all else, smoothies are our favorite things ever. There is an untapped of wealth of smoothie recipes waiting to be discovered on PumpUp. Share a great and creative smoothie recipes to earn 25 #ChallengeMe points. Here are just a few ideas. Friday, June 26- Push-ups: Drop down and give us 20 (no, really). Try to do 20 push-ups today to earn 20 #ChallengeMe points. Don't worry if you can't do 20 all in one go: spread it out throughout the day, and get better. Get stronger. The push-up is a classic no-equipment exercise that works most major muscle groups. Here are a few push-up variations that you can definitely look forward to trying. Saturday, June 27- Workout Outfit: Funnily enough, we attach symbolic meaning to our athletic clothing. When we feel confident in our workout clothes, we may become more motivated (and even excited) to exercise. You're allowed to feel good in your workout gear at any shape or size. Flaunt it today: share a picture of your favorite workout clothes to earn 45 #ChallengeMe points. Remember to share how many points you accumulated this week in order to be considered for some PumpUp Swag! Sunday, June 28- Try a new yoga pose: Often, the most difficult thing about yoga is beginning it. It's a practice. Begin and get stronger. Try a new yoga pose today, share a photo about it on PumpUp, and earn 45 #ChallengeMe points for every yoga post that you make! Monday, June 29- 50 jumping sumo squats: Work your legs with some wide legged squats! Do a small jump as you ascend from each squat. For every set of 50 jumping sumo squats that you do, you'll earn 50 points towards #ChallengeMe. Experiment with different types of squats if you can. Find some other awesome bodyweight squats that you can try for the challenge. Tuesday, June 30- Cheat Smart. It's the last day of our June Challenge! You deserve a treat for all of your hard work. Share your favorite healthy treat on PumpUp! You might be able to find some inspiration from our ultimate BBQ recipe guide and from these other posts. Why should you treat yo' self? It might lead to better results. Have any questions or feedback? Let us know in the comments below! Cover photo courtesy of PumpUp member @randy_dizon. When you’re treading in shallow water, your range of motion is fairly limited in comparison to when you’re swimming in deeper water. The same rings true for squats. By lowering your squat past your knees, you’ll be activating more muscles and burn more calories. Don’t sweat it: deep bodyweight squats won’t impact your knees any more than regular squats will. 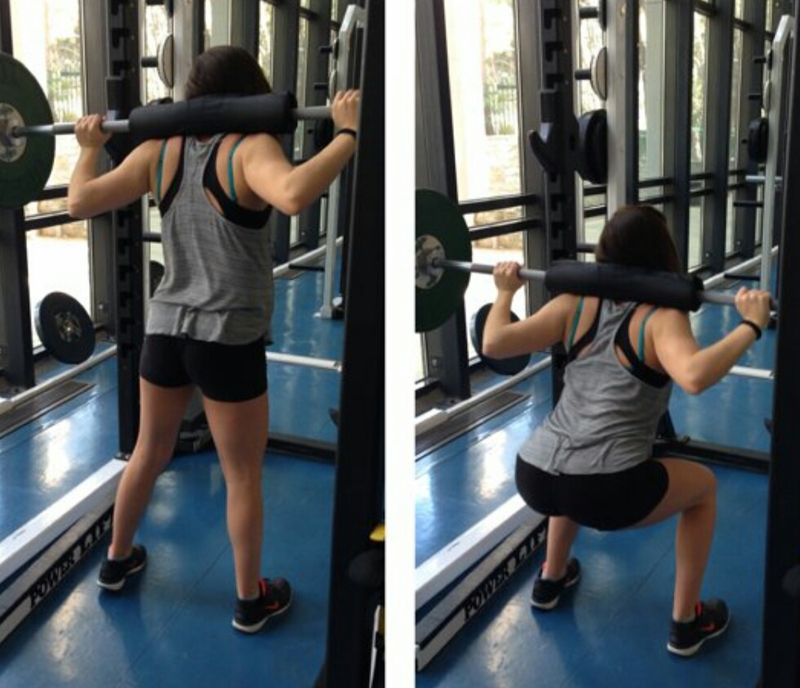 Weighted deep squats might even be more effective at increasing strength than parallel squats. Keep your weight in the heels and balls of your feet and make sure that your back isn’t overarched, ensuring that your knees don’t extend past your toes. Make your squats more challenging by placing your hands behind your head. Your body will work harder to stabilize itself throughout the movement, relying less on momentum and more on muscle control. The same rules apply: ground your feet, keep your knees in line with your ankles and maintain good posture throughout the movement. It’s high time to work your thighs. The plié squat specifically targets your quads, inner thighs, glutes, and hamstrings. Begin with your legs in a stance slightly wider than your shoulders and turn your feet about 45 degrees outward. Load the weight unto your heels and squat straight down, keeping your knees in line with your ankles. For an extra challenge, hold a weight in between your legs as you perform these bodyweight squats. Make sure you have good basic squat mechanics before you perform this plyometric move. Your knees shouldn't cave in and your chest should be higher than your hips. Lower down into a squat and jump vertically. When you land, decelerate so that you don’t put too much pressure on your joints. Make your landing slow and controlled and land through your heel. Use your arms to help propel yourself when you're starting out. Place them behind your head for an extra challenge. Clap your feet together while jumping to make the move more tricky. While squats are challenging in themselves, pistol squats take difficult to an entirely different meaning. Gradual practice is necessary before you’ll be able to perform a full one-legged squat. When perfected, these bodyweight squats can help you to improve your strength, stability and balance. Keep your arms parallel to the floor, raise one leg with your foot flexed, and lower down slowly. Hold the position for a moment, then stand back up. This article about bodyweight squats is part of a series of posts for #ChallengeMe: PumpUp's series of daily mini-challenges to keep you motivated. Check out the full challenge here.